The call from my good friend Albus Dumbledore came in the middle of the night. The request, odd. It seemed that Sunday's rains had flooded Hogwarts and so, he asked, could Saint David's become that venerable school of wizardry--just for a day--while Hogwarts dried out. I thought about it, and with the magical powers of our PA Officers and their crew of parent volunteers, our hearty maintenance department, and a team of incredibly creative faculty members at the ready, we knew it could be done and done beautifully. Dumbledore was so grateful that he offered to act as headmaster for a day, greeting all of our boys and assigning them, by a gifted tie, to one of Hogwarts-for-the-Day's four Houses: Gryffindor, Hufflepuff, Ravenclaw, and Slytherin. At the day's beginning, a delivery of The Daily Prophet brought news of the special activities, actions, and good deeds the boys could partake of to earn points for their House. When all was tallied the winning House, Ravenclaw, received the House Cup in a special school-wide announcement. Unfortunately, the cup immediately vanished after the announcement and the boys of Ravenclaw were left with basking in the glory of victory, and the great feeling that comes from knowing all the good they had done. What an amazing, creative way for Saint David's boys and families to celebrate the school's last year as a collection of townhouses. Appreciation to Linda MacKinnon, Elizabeth Villar, Susan Kissane, Kim Church, Heather Rhatigan, Densie Plunkett, dozens of parent volunteers, our Hogwarts maintenance crew, and the Hogwarts faculty crew who spent last night and today effecting this magnificent transfiguration of Saint David's into Hogwarts. What a magical day! Tomorrow it's back to muggles at Saint David's; but rest assured, the magic never abates. Second graders have been engaging in their first math investigation of the year. After reading the book Measuring for the Art Show, the boys used inchworm connecting cubes to measure the lengths and widths of several pieces of fabric. The measurements for the pieces of fabric were carefully chosen by the boys' teachers for their relationship to multiples of five and ten. Boys discover that by using two colors of inchworm connecting cubes, they can quickly recognize groups of 5 and/or 10. Later in the investigation, these measurements will be placed on an emergent number line. Throughout the project, the boys are encouraged to use a variety of strategies, choosing the ones with which they are most comfortable. This open ended investigation is designed to encourage the development of some of the big ideas underlying early number sense, measurement, and addition. 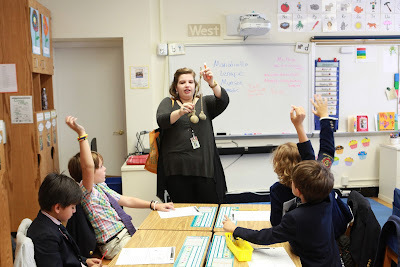 It is one of three investigations that our second graders will engage in throughout the year, using active problem solving to deepen understanding of concepts they have studied. Each year, our school's partnership with the Gilder Lehrman Institute of American History kicks off with a morning workshop on "Why Documents Matter" led by GLI President James Basker. 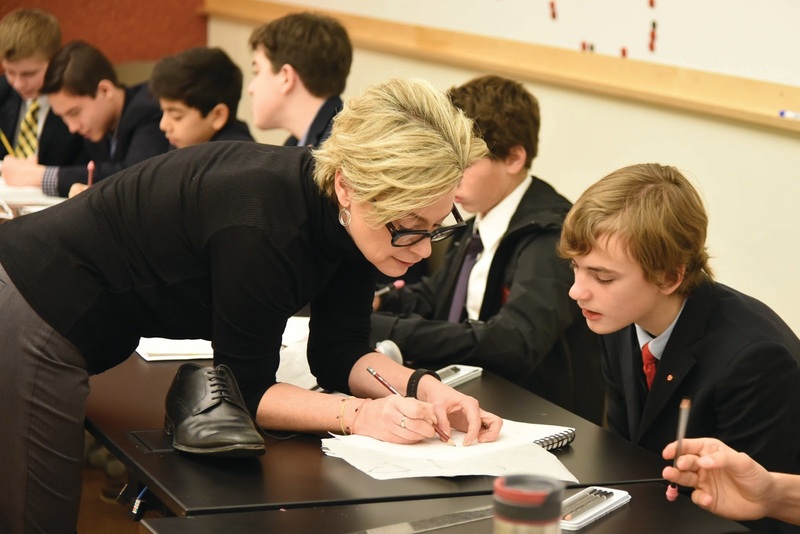 Last week, Dr. Basker led our sixth graders and their parents in a close study and critical analysis of several important historical documents, including Paul Revere's engraving of the Boston Massacre, drafts of the Constitution, and letters written by Frederick Douglass. This is the fifth year of our school's partnership with this prestigious institution, which through the Gilder Lehrman Collection holds a vast archive of more than 60,000 primary source documents and artifacts. 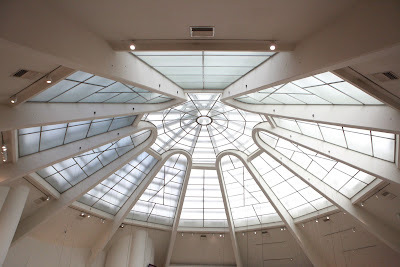 During their study of American History this year, our boys and their teachers will visit the actual GLI vault at the New-York Historical Society that houses the original documents. They will closely examine the real documents and artifacts, enabling the boys to develop a deeper appreciation for the ways they shape our understanding of history. Last week, after school, I accompanied sixth grade members of the Saint David's Headmaster's Community Club to Daniel's Music Foundation on Lexington Avenue to participate in music activities with the boy and girl members of DMF. DMF runs recreational music programs in a group setting using the power of music to create community. As volunteer members of the Headmaster's Community Club, our boys will make several visits to DMF this year. During these visits, they have the opportunity to engage through music with children of different abilities. They have a good time with each other, and come to see how alike we all are at our core. Our partnerships with organizations such as Daniel's Music Foundation (now in year two) and our new partnership with Manhattan's Childrens Center for our second graders, underscore Saint David's commitment to embracing difference in its many manifestations. I enjoyed an enlightening visit to alums at Fieldston. Ryan '14 is graduating this year and has applied early action. We wish him all the best with his first choice. Ethan '16, Teddy '16 and Matthew '15 are holding down the fort and excited about the possibility of welcoming new Saint David's boys next year. On Saturday, the final shipment of steel and mechanical equipment was moved onto the roof of Graham House, our last planned street closure and crane pick of the school's consolidation and expansion project. 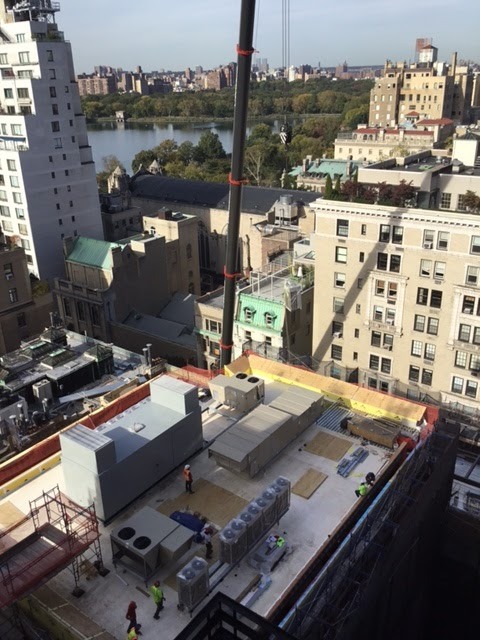 We are most appreciative to Saint David's immediate neighbors for their patience and flexibility during the construction work that occurred on the weekends. The interior construction work of our newly imagined school advances at full speed, with the commons, classrooms, gyms, performing arts center, and all new spaces taking shape beautifully. 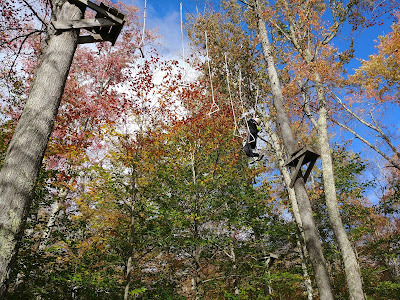 Our seventh graders are away this week on Cape Cod with their classmates and teachers. 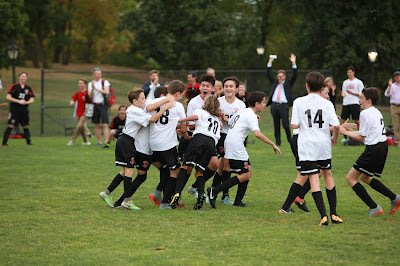 This Saint David's tradition is aligned with the seventh grade curriculum, bringing to life what the boys study in class. Their days are full and the program interdisciplinary: a marine life cruise, the challenging Great Island Hike, exploration of the marsh, sessions on marine chemistry through our partnership with research scientists from the Woods Hole Oceanographic Institution, observational drawing, STEAM activities, journaling, and, of course, a long bike ride, clam bake and sports. 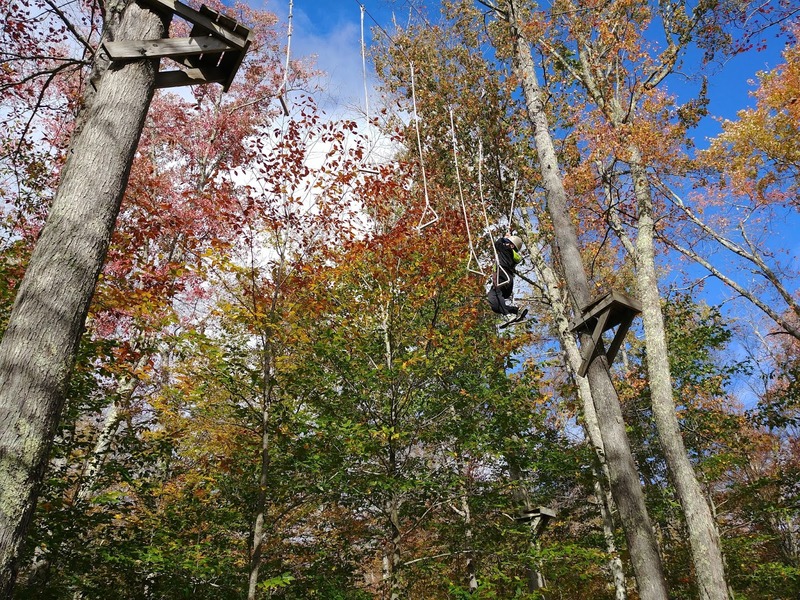 The Cape Cod experience exemplifies our commitment to learning that occurs outside of school, in this case in the sea and on the sands of the beautiful natural environment of the Cape. It also importantly provides our boys with a special opportunity to connect with each other and their teachers, building the bonds of a strong community. 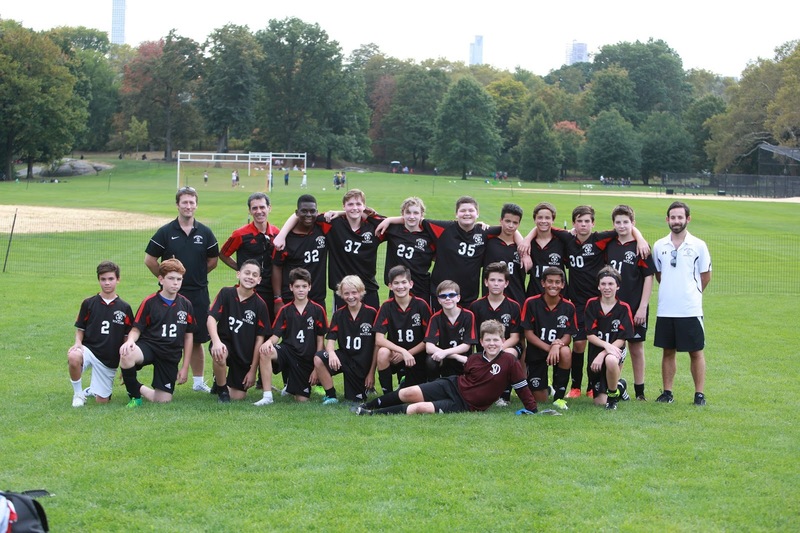 In an effort to help boys develop empathy and compassion for children with special needs, Saint David's has partnered with Manhattan Children's Center, a school on the Upper West Side that provides treatment and education to children with autism. 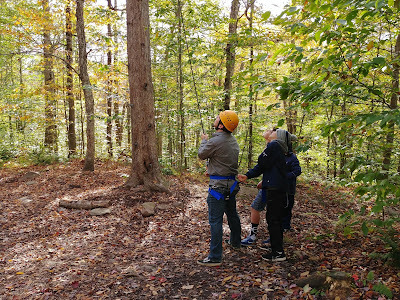 This fall and winter each second grade class will visit MCC six times, where our boys will have the opportunity to engage in activities with MCC students. This week, educators from MCC are visiting Saint David's to help us prepare for our visits. 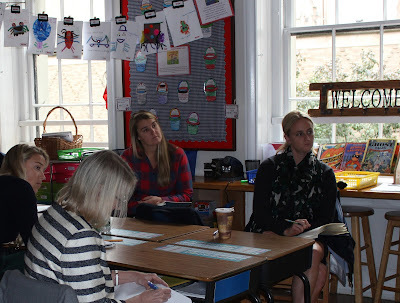 Yesterday, the outreach director led a one-hour professional development workshop for teachers. She will return on Thursday to meet with each of the second grade homerooms, leading the boys in a discussion about ways we are all the same and ways we are different. Our boys will then engage in a partner activity in which they need to "turn their voices off" to communicate an idea to one of their classmates; this experience will help them to better understand helpful strategies for communicating with their buddies at MCC - such as repeating directions, being patient, or giving a high-five. This new partnership with MCC provides our boys with an authentic opportunity to engage with children in our community who experience the world differently than they do. Instead of being wary of difference, our boys will learn to embrace it. 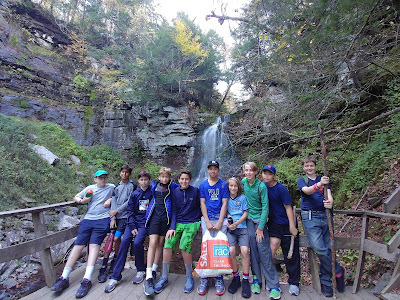 Sixth grade boys and their teachers are back from their two days at Frost Valley, YMCA in Claryville, New York. While there, the boys participated in a hike to a 40-foot waterfall and a variety of team-based and individual challenges, including a high-ropes course that encouraged them to step out of their comfort zones. 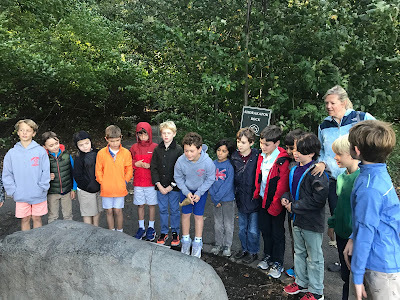 They also took advantage of the on-site observatory on a clear night to view Saturn and Andromeda--an experience that was a perfect introduction to the boys' extensive astronomy unit. This two-day experience provides the boys with the opportunity to strengthen ties with their classmates as they participate in various team-building challenges. They come to realize how important it is to rely upon others, as well as to employ one's ingenuity in order to meet with success. In order to be all that they can be, our boys have the support of a caring cohesive community that begins with their peers. Our second graders are "up and out"-- engaging in active learning experiences that deepen understanding across disciplines. 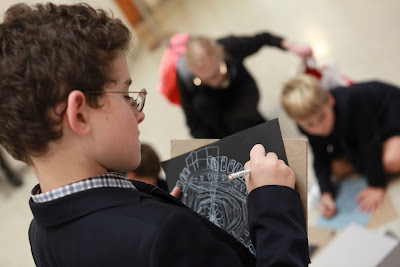 The boys are in the midst of their art unit conducted through the school's partnership with the Guggenheim, studying the works of abstract masters in the museum's collection before applying principles and techniques learned to their own creations. This week, they drew inspiration from the rotunda of the iconic museum itself. They also have begun their unit of history on early Manhattan with the New-York Historical Society. N-YHS Educators work with our second grade teachers as the boys explore artifacts, and use hands-on experiences and activities to understand the life of the Lenape people. 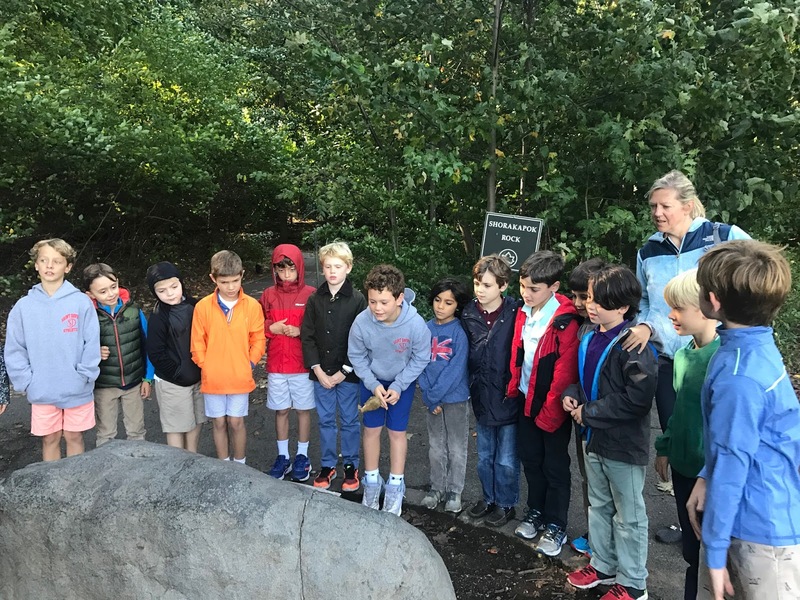 Yesterday, as part of this study, the grade went on a field trip to Inwood Park to further explore Lenape culture. 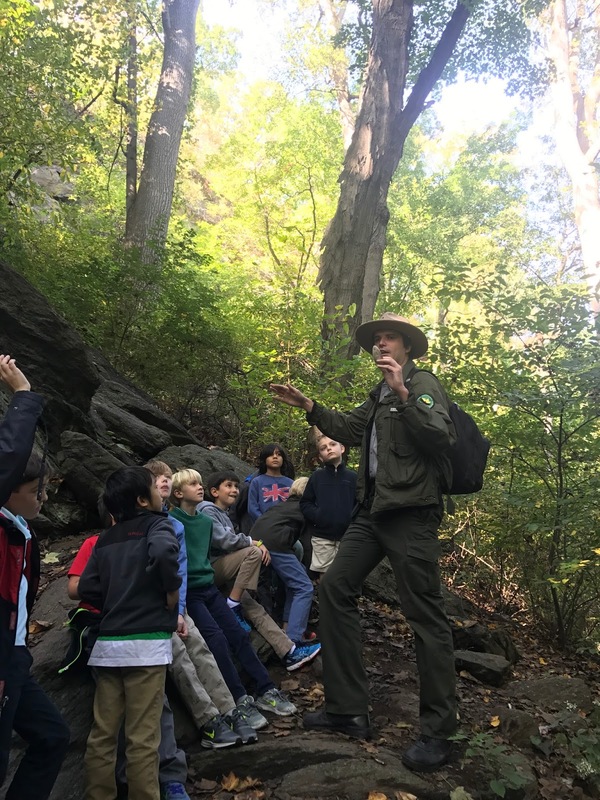 Throughout our program and in all grades, we take advantage of the phenomenal resources of our great city to provide learning experiences that occur beyond the school's walls. The following article by Art Chair Jenna Boccella appears in the current issue of Saint David's Magazine. Boys thrive when they have plenty of room to move, grow, learn, and express themselves physically, intellectually, spiritually and artistically. The new visual arts spaces at Saint David’s will allow students to more freely expand the boundaries of their creative experiences while remaining firmly grounded in the school’s commitment to the aesthetic, one of the four pillars of the school’s education. Visual arts faculty are eagerly anticipating the opening of these new spaces in the fall of 2018 with an eye to maximizing their design in order to support, broaden, and enrich our already strong curriculum. Two large multi-media studios will be located on the third floor of the new building facing south and east. Large windows, already part of 22 East 89th Street, line the eastern wall allowing for abundant morning light. Glass doors on the southern side of the studio will lead to a terrace, where students will be able to work outdoors and where plants can grow to be used as subjects for projects. 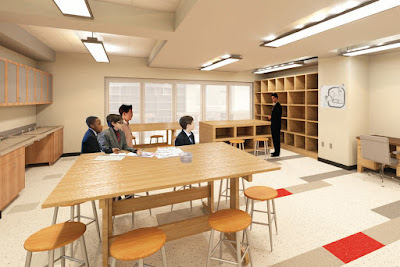 A moveable frosted glass wall in between the two spaces will allow for greater flexibility of scheduling, and the option to teach whole homerooms or divide classes into small groups. Art shows will also be held in this large, open area. Large, deep utility sinks will allow for quick cleanup for wet media. Custom made modular tables on wheels will allow teachers a broad range of options for arranging ideal movement and flow of work and demonstration areas. The pottery room, much larger than the current space, will be adjacent and include prep and kiln rooms as well as an upgraded ventilation system to keep the environment dust-free. The large, new woodworking studio will be located on the sixth floor. 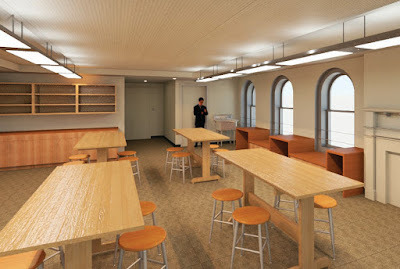 It will comfortably hold twelve students and be outfitted with high quality tools and equipment. These new spaces will allow the department to reach curricular goals that have been germinating for over twenty years, but that were not previously feasible due to space limitations. For example, fourth, fifth, and sixth graders will now be able to attend art, woodworking, and pottery classes in half homeroom groups for a full semester, rather than in trimesters, affording boys time to more deeply explore each discipline, hone skills, realize projects, and learn through trial and error. Also, all grades in Pre-K through Eight will come to dedicated art spaces rather than having teachers visit classrooms as they currently do. 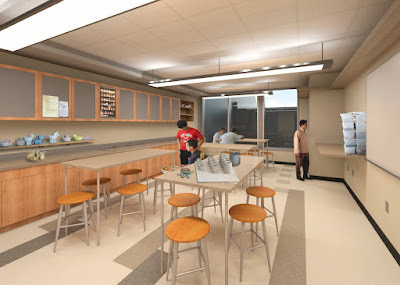 The art and pottery studios’ proximity to the new STEAM spaces and a shared Commons area will foster collaboration between visual arts, science, technology, and math programs, and create an environment in which these departments share equipment, ideas, and philosophies. Displaying their work for the community to enjoy viewing is a key part of the students’ art experiences at Saint David’s. In our current, compressed building, there are very few places to show the fruits of our boys’ creative efforts. The new building will boast many large, light-filled areas to highlight student art, both in the planned art suite as well as in other areas around the new building. There will be magnetized whiteboard walls lining the studios as well as the Commons area, where there will also be one large wall of self-healing material on which to display two-dimensional pieces. 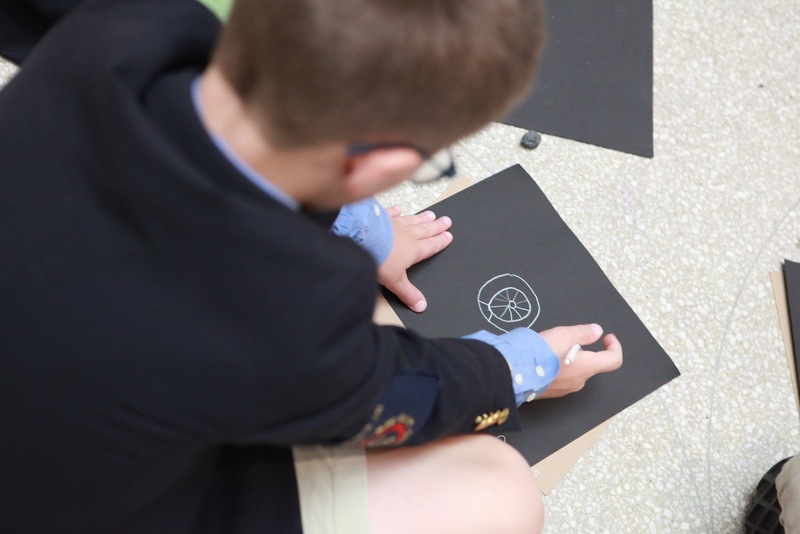 Hannah Frassinelli, art teacher in Omega and Grades Two through Six, mentioned how much she is looking forward to holding student critiques in the comfortable and casual Commons area with the boys’ works in progress hanging on the magnetized walls. Mr. Gary Kessler, who has been teaching woodworking at Saint David’s since 1985, looks forward to teaching in a state-of-the-art woodshop with dedicated areas for certain tasks such as sanding, construction, power tools, and detail work, as well as space for two lathes which are currently in storage. Boys will be able to return to wood turning projects in the expanded shop. Throughout the school’s history, Saint David’s boys have benefited from rich art making experiences that deepen their appreciation of the aesthetic. 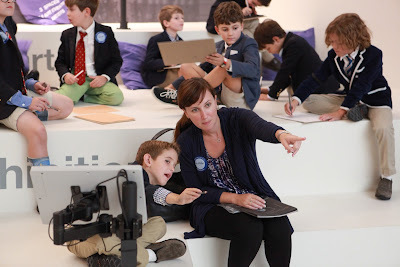 Our new art rooms will broaden, enhance, and expand these experiences. The skills, routines, and habits of mind that boys will acquire in these special rooms will be an integral part of the careful observers, balanced thinkers, creative problem solvers, and “good men” that they will become. Saint David's Red Team made Charles Osgood and our entire school proud yesterday. With a final score of 1-0 White (loss) and 2-2 Red (tie), The Cup remains in its rightful position! While Mr. Osgood was unable to attend yesterday's match against St. Bernard's, there were, as one might expect given the clandestine nature of his work, several reported sightings--a cloaked figure by the big maple, a tall man with an uncanny resemblance to Dr. King, only older, standing by the Bernard's goal late during the second half, and off course, the infamous distinguished gentleman sporting long-range binoculars spotted atop the small hillock located to the north east of our field. Unfortunately, none of these sightings could be independently confirmed by this author. Every time I looked in the direction of the call, I saw nothing. 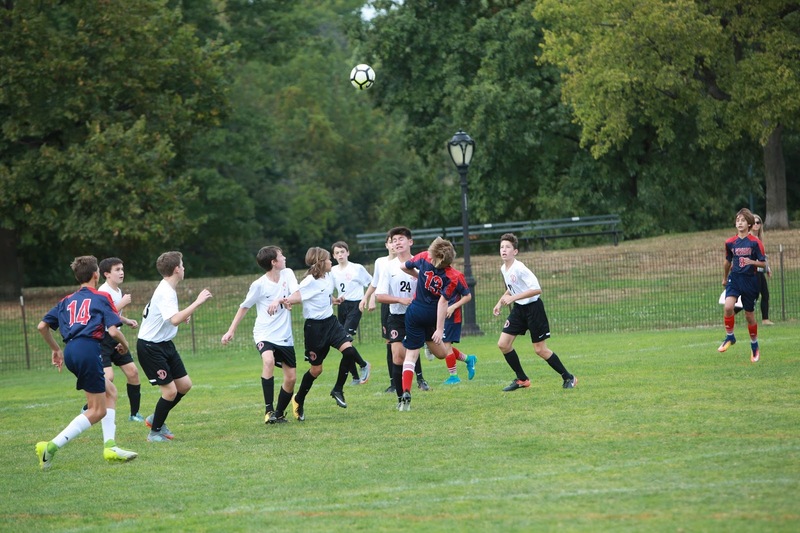 Mr. Osgood had earlier urged the boys to "Play strong, play smart, and play fair! Our Cup hangs in the balance!" 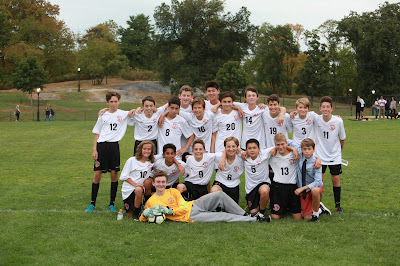 The boys on both the Red and White teams played strong, smart and fair yesterday, demonstrating their notable skills in the sport as well as their good sportsmanship. Well done, boys. Well done coaches. Well done, Saint David's! 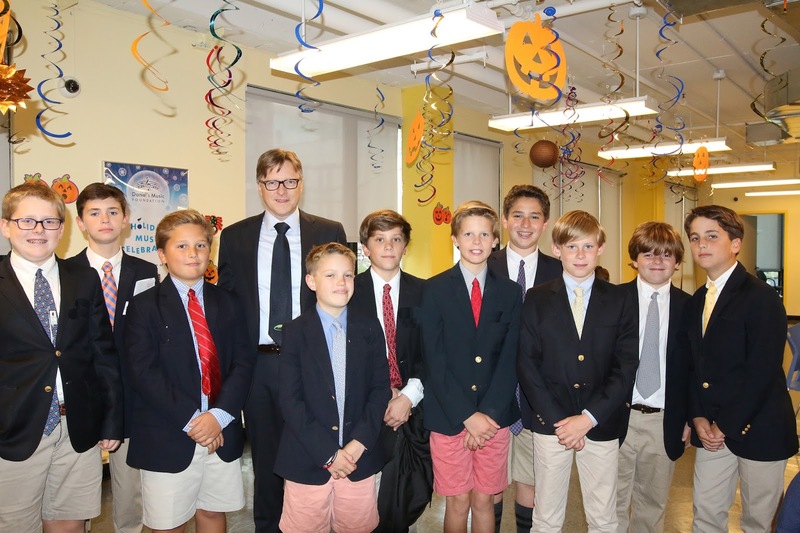 At a special lunch on Friday, Saint David's kicked off a new advisory program for our seventh and eighth graders, in conjunction with the school's Sophrosyne unit. Sophrosyne, an ancient Greek virtue, denotes excellence of character and a healthy state of mind and is characterized by self control, moderation, and awareness of one's true self. The unit seeks to help our older boys handle complex issues around health, wellness, and sense of self in adolescence. The advisory program provides each seventh and eighth grade boy with another "go to" faculty member, as well as a small and supportive group of peers. On Friday, the groups met for the first of several Advisor Meeting lunches that will be held throughout the year. 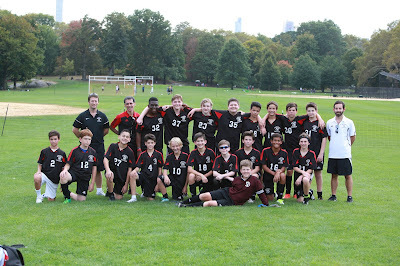 The boys and their advisors began to get to know each other, discussed goals for this year and foreseeable challenges, as well as topics and themes that the boys are discussing in Sophrosyne. 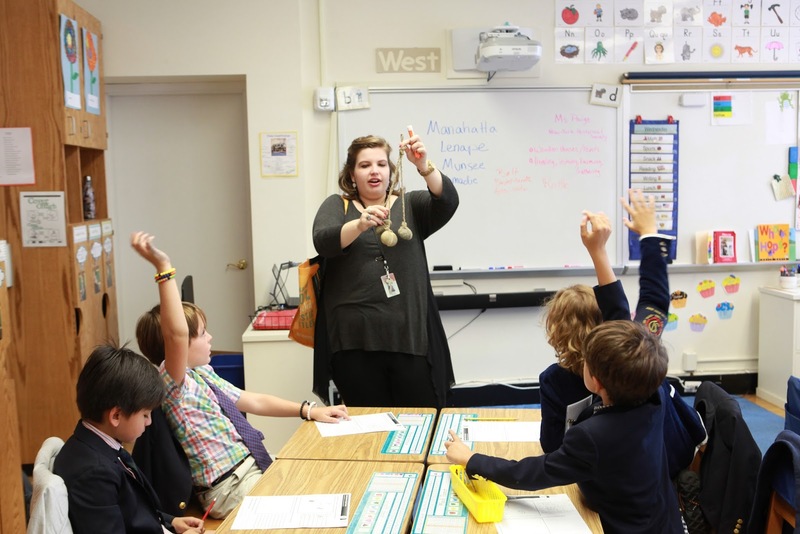 Advisors don't replace the homeroom teacher as a boy's primary adult in his daily life at school, but they are an additional faculty member a boy can turn to when faced with academic or social challenges. Our world continues to change at a rapid pace, as have the trials that our students will face within and outside of school. 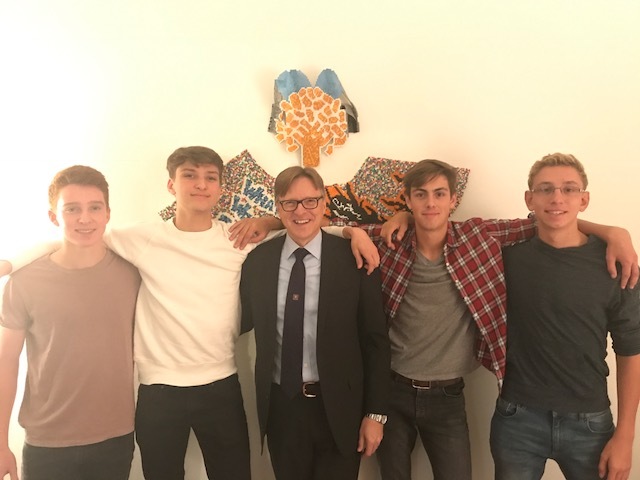 As a caring community, we are committed to providing our boys with as much support and guidance as possible as they navigate the sometimes turbulent waters of adolescence.